Working!!. . HD Wallpaper and background images in the জীবন্ত club tagged: working!! 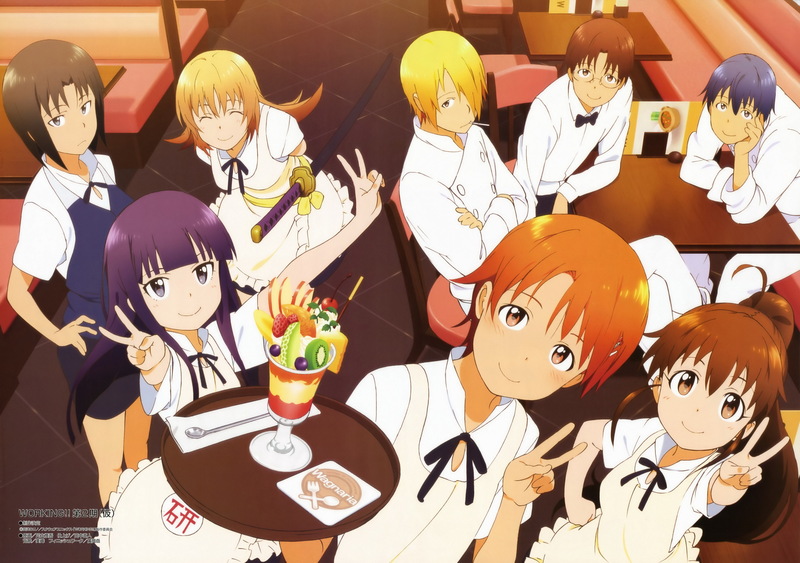 wagnaria takanashi souma poplar satou yachiyo kyoko aoi inami. This জীবন্ত photo might contain নকল মানুষের, কমিক বই, কমিকস, and কার্টুন.